Ipcc sar wg2 (1996), Watson, R.T.; Zinyowera, M.C. ; Moss, R.H., eds., Climate Change 1995: Impacts, Adaptations and Mitigation of Climate Change: Scientific-Technical Analyses, Contribution of Working Group II to the Second Assessment Report of the Intergovernmental Panel on Climate Change, Cambridge University Press, ISBN 978-0-521-56431-1, archived from the original on 2015-09-24 (pb: 0-521-56437-9) pdf. IPCC TAR WG1 (2001), Houghton, J.T. ; Ding, Y.; Griggs, D.J. ; Noguer, M.; van der Linden, P.J. ; Dai, X.; Maskell, K.; Johnson, C.A., eds., Climate Change 2001: The Scientific Basis, Contribution of Working Group I to the Third Assessment Report of the Intergovernmental Panel on Climate Change, Cambridge University Press, ISBN 978-0-521-80767-8, archived from the original on 2016-03-30 (pb: 0-521-01495-6). Ipcc tar wg2 (2001), McCarthy, J. J.; Canziani, O. F.; Leary, N. A.; Dokken, D. J.; White, K. S., eds., Climate Change 2001: Impacts, Adaptation and Vulnerability, Contribution of Working Group II to the Third Assessment Report of the Intergovernmental Panel on Climate Change, Cambridge University Press, ISBN 978-0-521-80768-5 (pb: 0-521-01500-6). 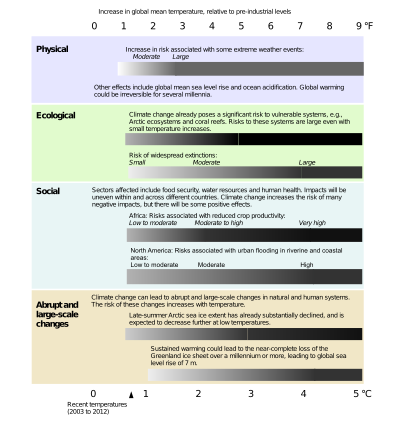 Ipcc tar wg3 (2001), Metz, B.; Davidson, O.; Swart, R.; Pan, J., eds., Climate Change 2001: Mitigation, Contribution of Working Group III to the Third Assessment Report of the Intergovernmental Panel on Climate Change, Cambridge University Press, ISBN 978-0-521-80769-2 (pb: 0-521-01502-2). 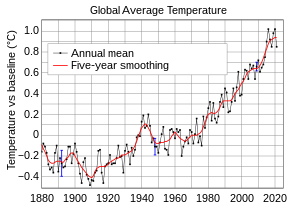 Ipcc tar syr (2001), Watson, R. T.; the Core Writing Team, eds., Climate Change 2001: Synthesis Report, Contribution of Working Groups I, II, and III to the Third Assessment Report of the Intergovernmental Panel on Climate Change, Cambridge University Press, ISBN 978-0-521-80770-8 (pb: 0-521-01507-3). Ipcc srex (2012), Field, C.B. et al., eds., Managing the Risks of Extreme Events and Disasters to Advance Climate Change Adaptation (SREX), Cambridge University Press, archived from the original on 2012-12-19 CS1 maint: Uses editors parameter (link). Summary for Policymakers available in Arabic, Chinese, French, Russian, and Spanish. This page was last edited on 13 April 2019, at 12:29 (UTC).